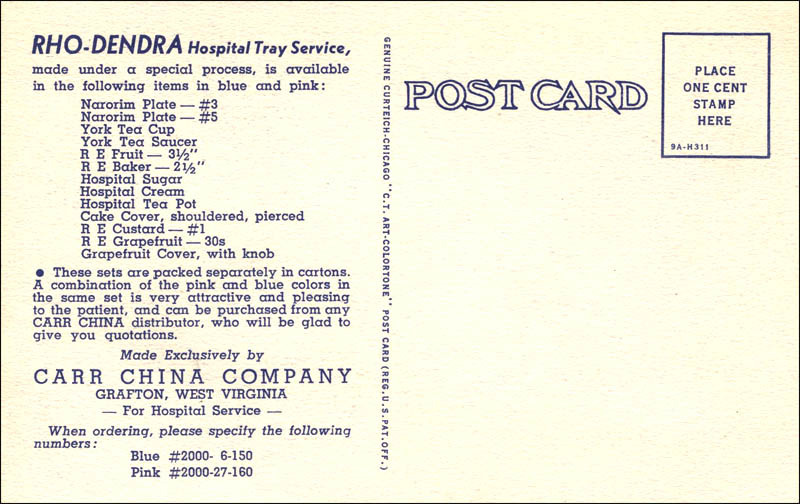 as hospital dietary service. 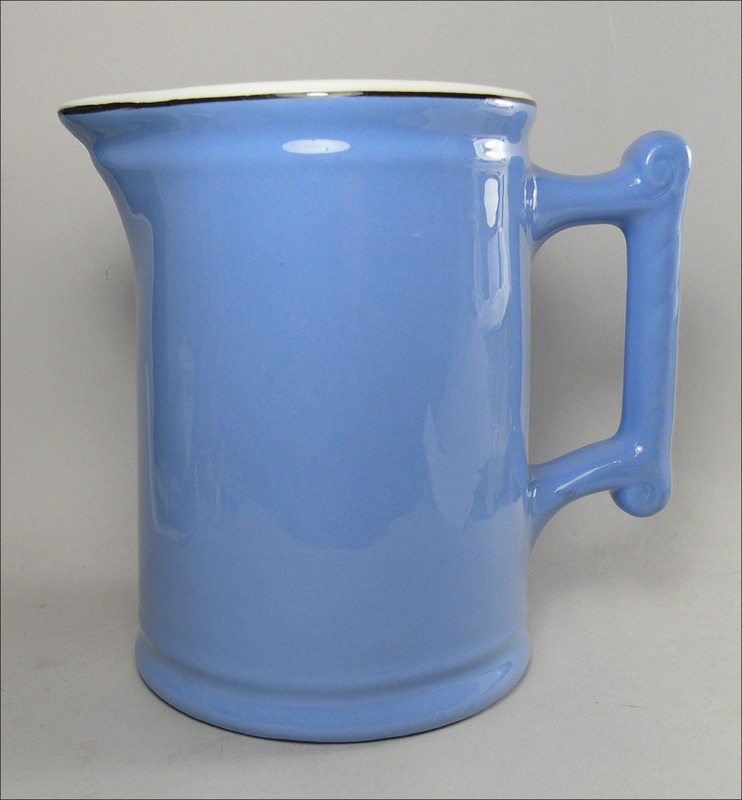 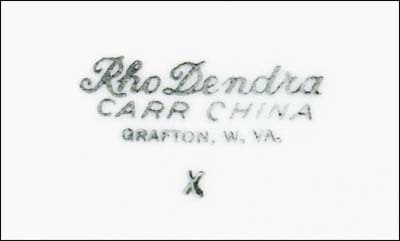 Click on photo above and below for larger images. 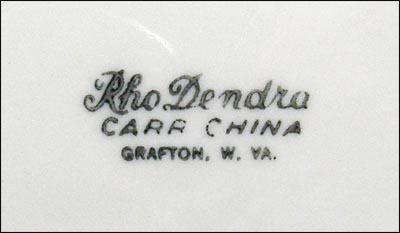 The source of the unusual name is not known. 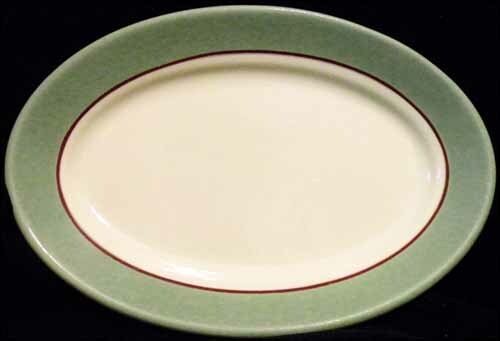 Commonly known colors were blue, green and pink. 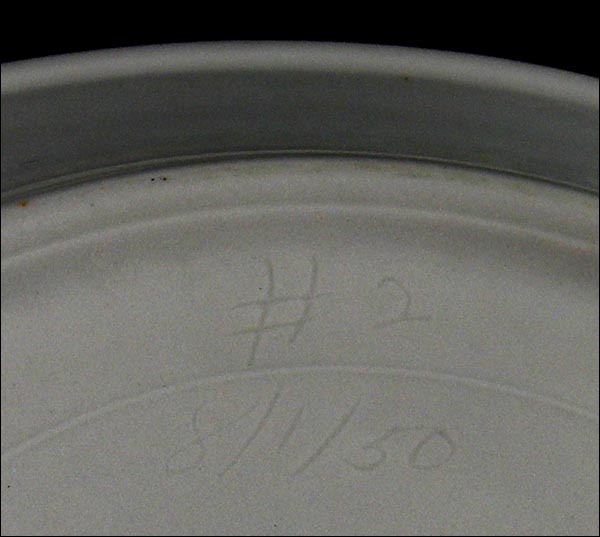 Scroll down to see a second style of backstamp. 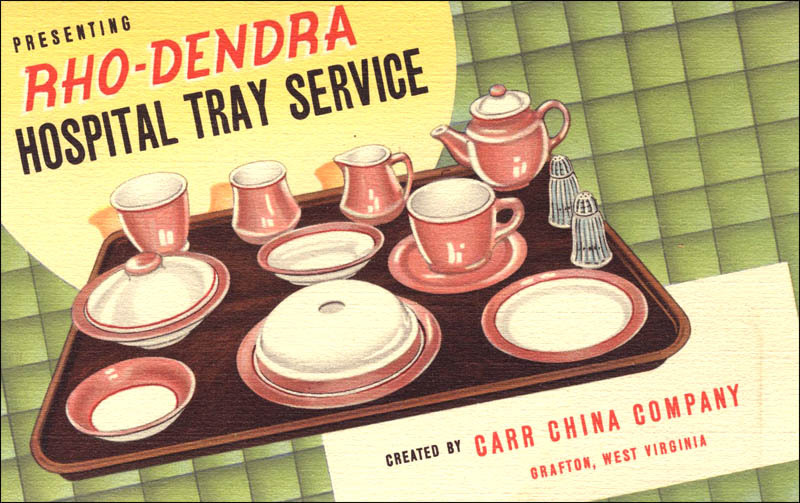 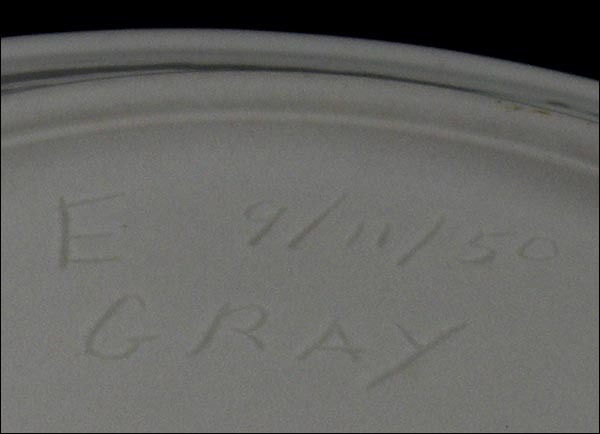 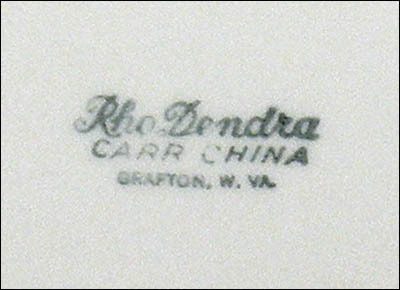 In 1950, Carr evidently experimented with Rho Dendra. 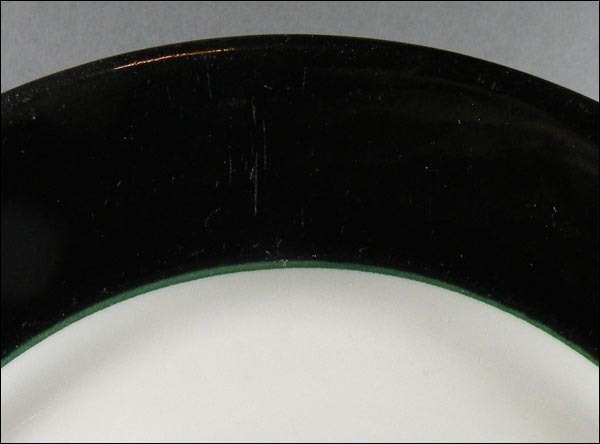 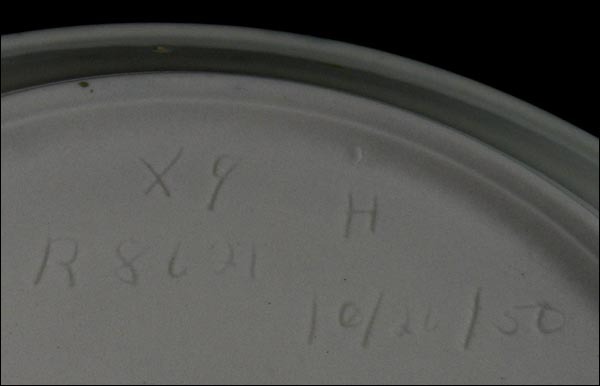 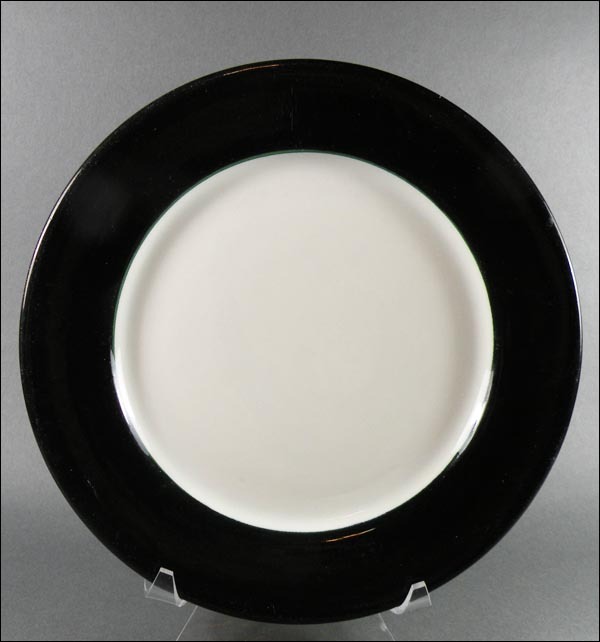 We've found five sample plates in the usual colors but also one in black with a green line and one in gray with black line. 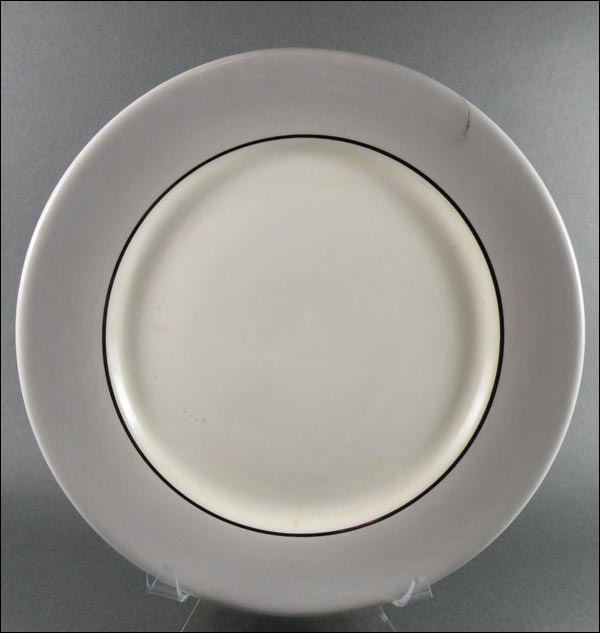 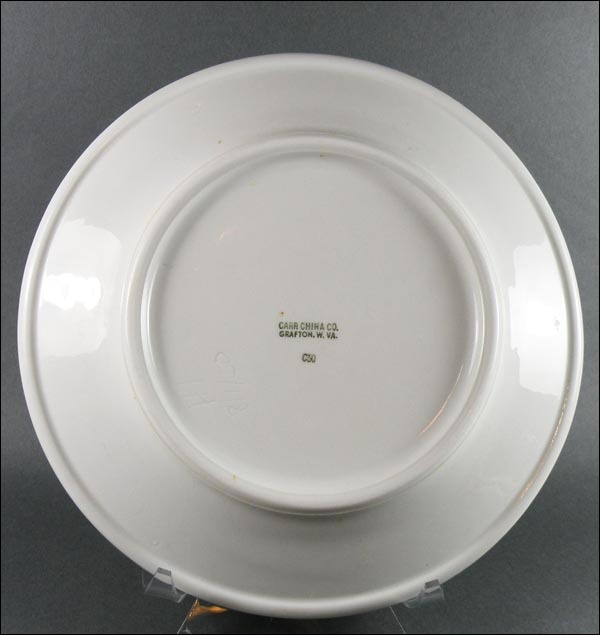 Scroll down to see these plates. 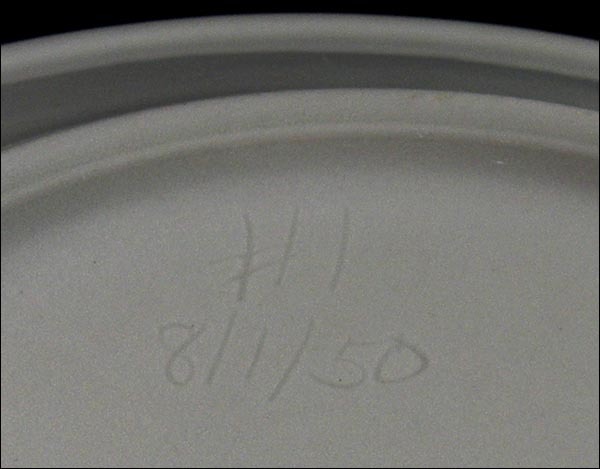 The hand-written codes on the backs have been exaggerated so that they can be read. 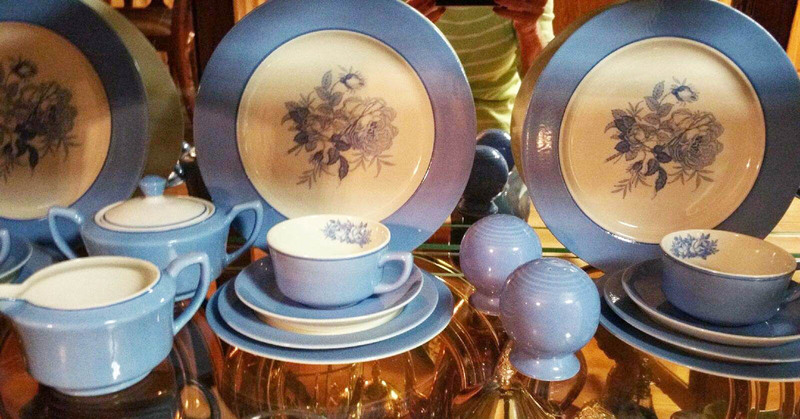 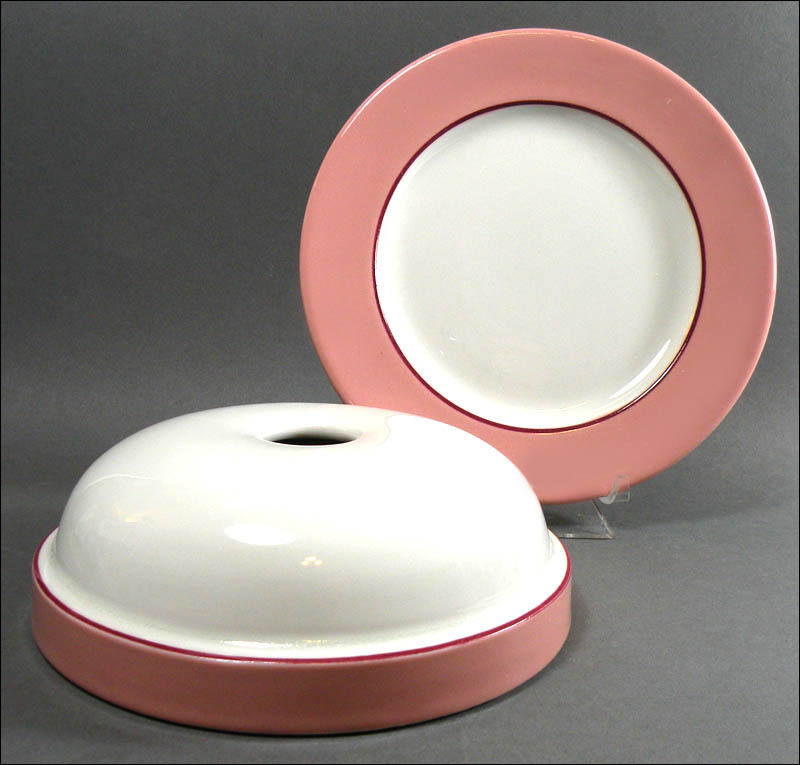 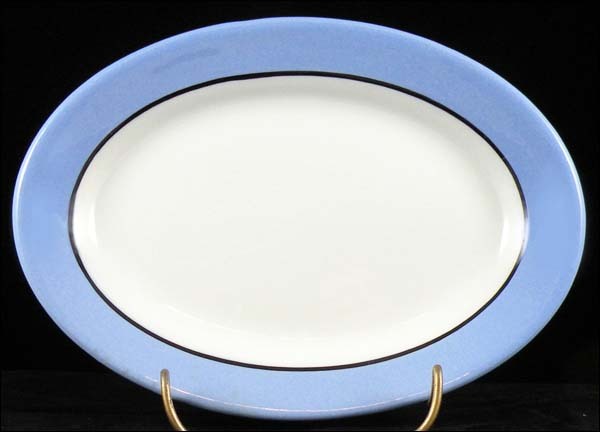 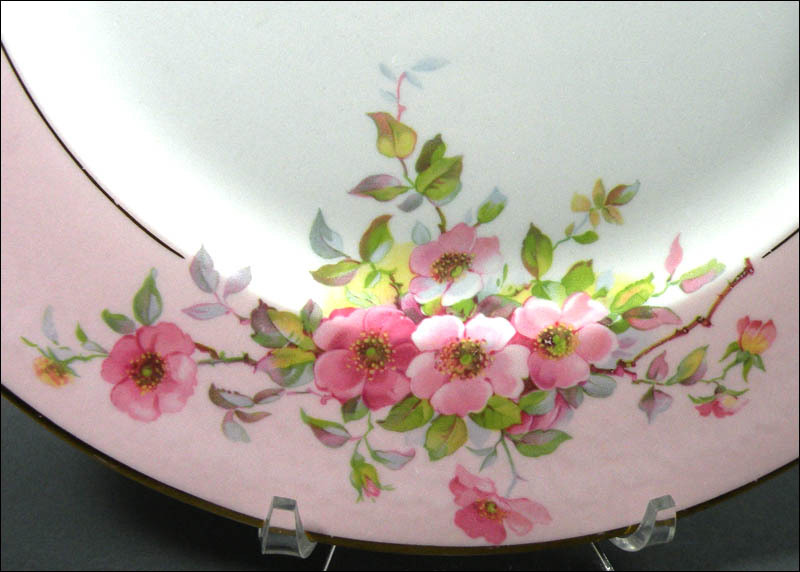 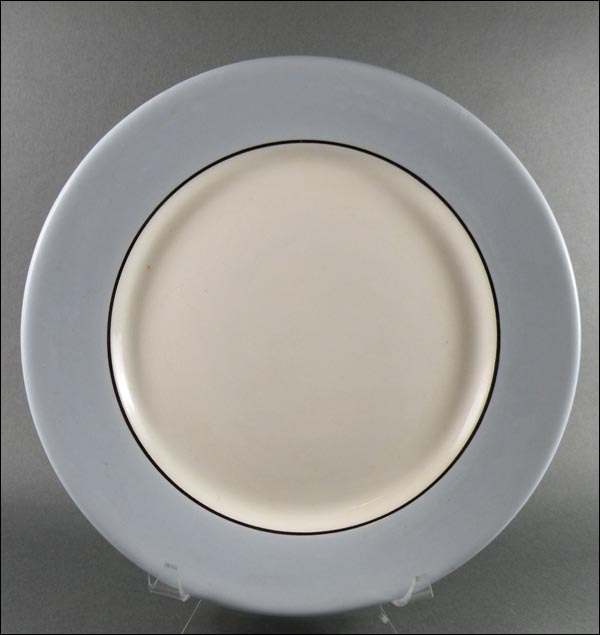 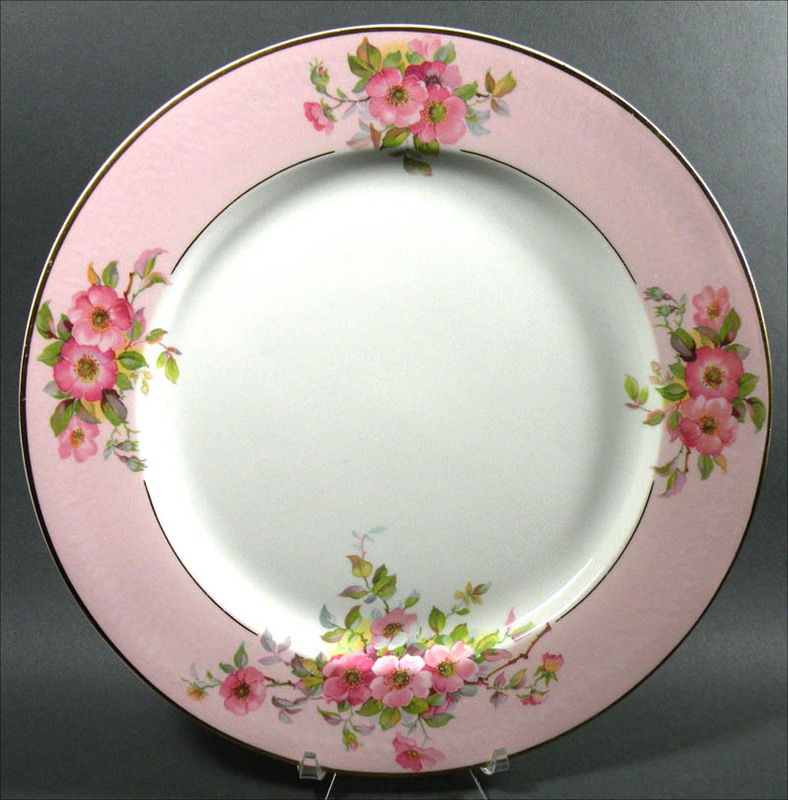 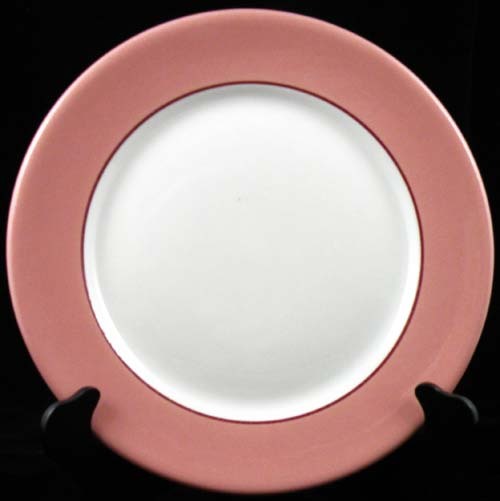 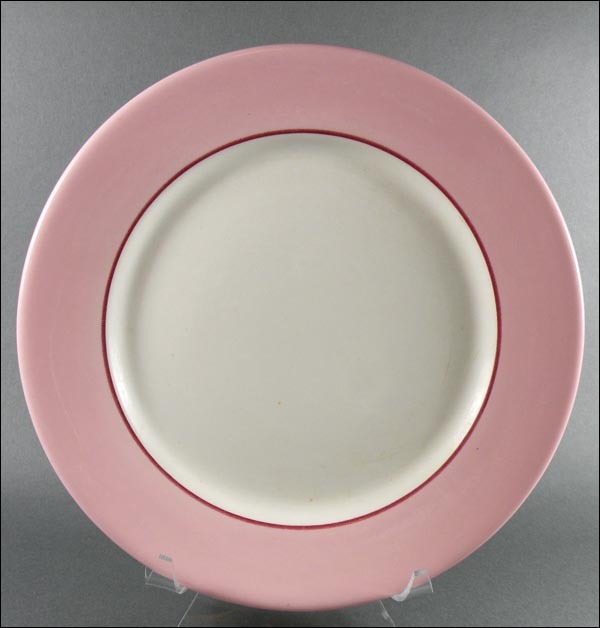 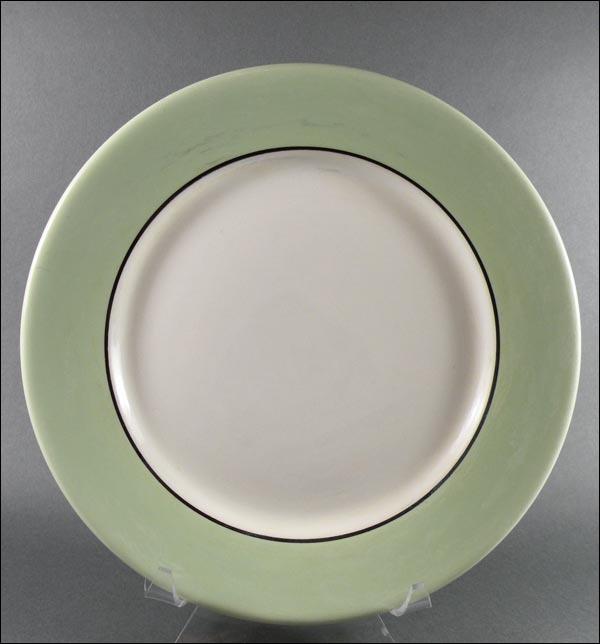 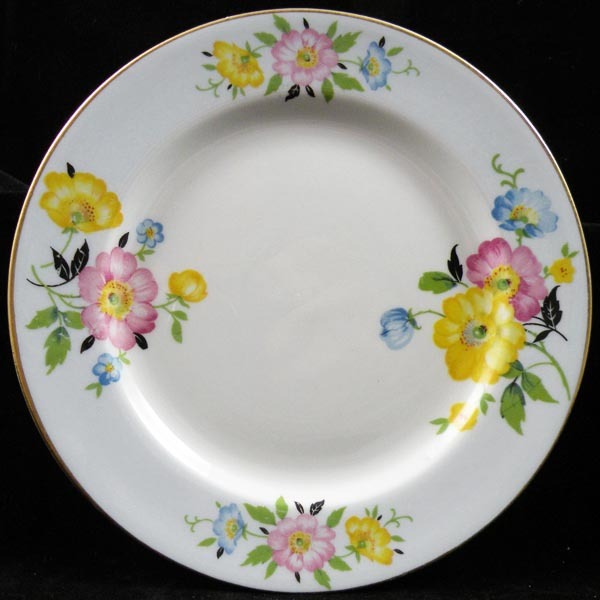 A new addition to the site is a thin, or banquet weight, Rho Dendra plate with pink floral decals, plus one that was in the Curiosities section with very pale blue rim and a different floral decal. 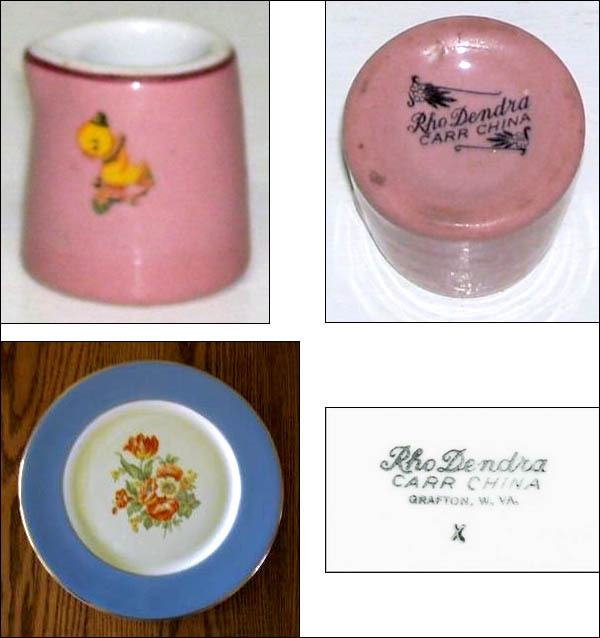 And after that, we've included a couple of Rho Dendra pieces that were on old eBay auctions (and our apologies that we don't know to whom to give photo credit). 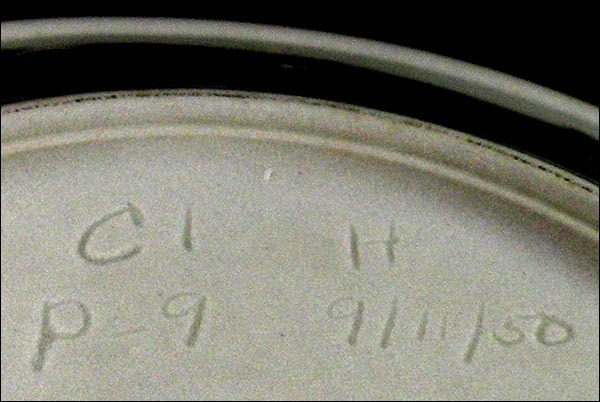 The children's duck decal on a pink creamer looks like it might have been applied post-production or could have been an amusement by an employee during a slow work time. 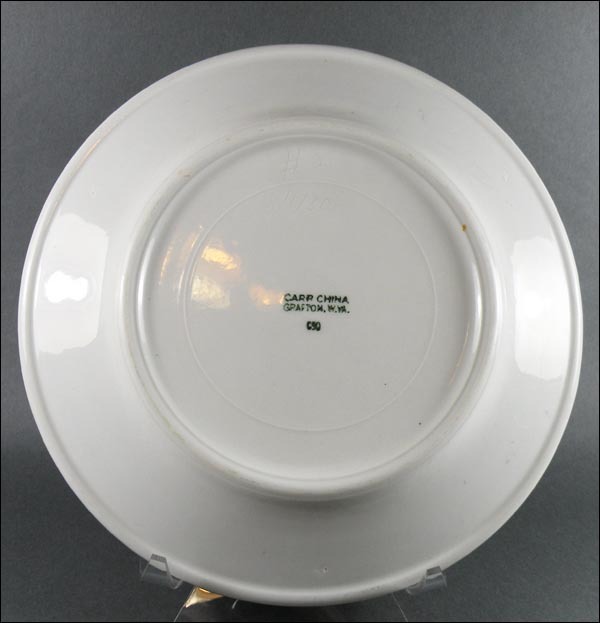 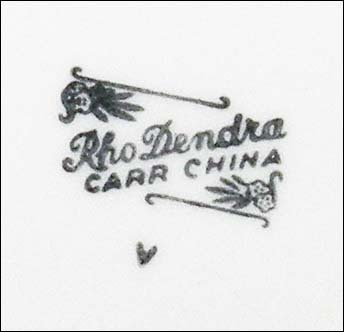 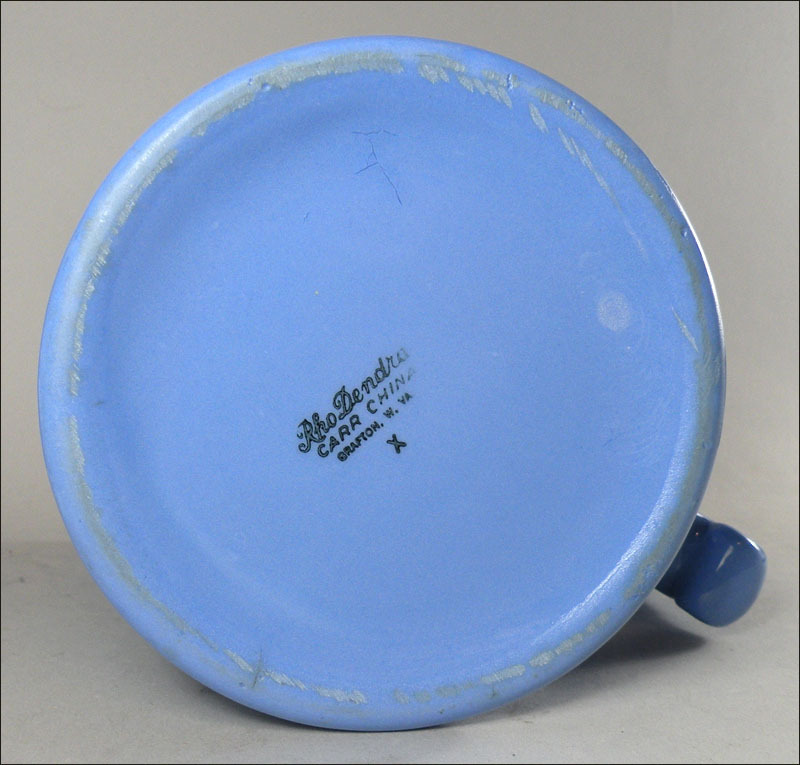 The floral decal on the blue Rho Dendra plate was probably a stock pattern that was intended for home use, especially considering its thin, banquet weight and the gold line that would have degraded during heavy commercial wear.